SHINee member Minho has officially enlisted in the military. On April 15, the group shared a photo of Minho with his groupmate Taemin through their official Instagram account. 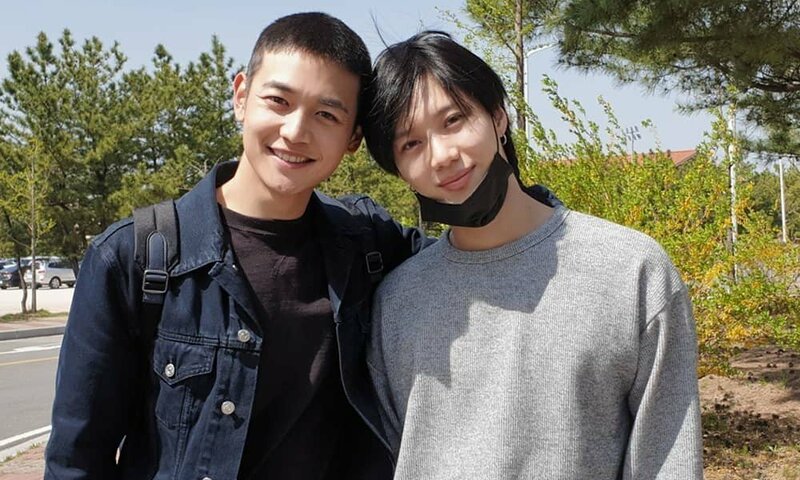 In the image, the two members are posing side-by-side only a moment before Minho would leave for boot camp. The caption, simply stating the phrase “healthy and safely,” was meant to remind fans that he would be back soon and make sure that they do not worry too much while he is gone. Meanwhile, Minho has become the third member to enlist, following Onew and Key, respectively. Check out the photo of Taemin and Minho together below!